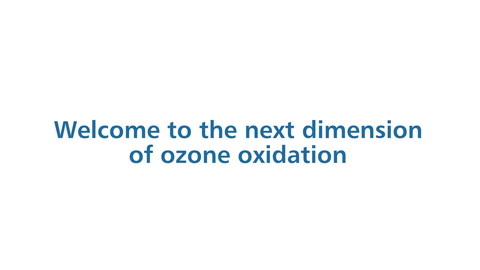 Maximize ozone for less energy and cooling water consumption. When maximum flexibility and reliability are the demands of the operation for small to medium ozone capacities, Xylem’s Wedeco SMOevoPLUS is the perfect system to suit every application. It is specially manufactured to operate with reduced cooling water consumption of up to 60% with maximum energy efficiency resulting in very low lifecycle costs. The Wedeco SMOevoPLUS generator vessel can also be positioned either upright or horizontally and is forklift-accessible from all sides, allowing for easy transportation and installation. The generator, power supply, pipework and electrical supply unit are optimally arranged in order to reduce on-site footprint up to 20%. It is equipped with state-of-the-art semiconductors technology (IGBTs) for improved system control, while the air conditioning system allows it to operate under high temperature (up to 35 °C) and high humidity (up to 90%) conditions, and eliminate the thermal power loss of electrical components. Effizon evo 2G electrode technology is the core element of every Wedeco SMOevoPLUS ozone system. It features a glass core, which consists only of high strength borosilicate glass and stainless steel mesh, that helps achieve a level of reliability and energy efficiency unattainable with most other electrode technologies. Manufactured completely from inert materials, without the need for fuses or coatings, it is highly resistant to corrosion. This means that the Wedeco SMOevoPLUS generators are practically maintenance free with no need for regular cleaning or replacement of electrodes. Moreover, with the Intelligent Electrode Protection (IEP), an inherent safety feature of the Effizon evo 2G, it is not prone to false detection of electrode defects.